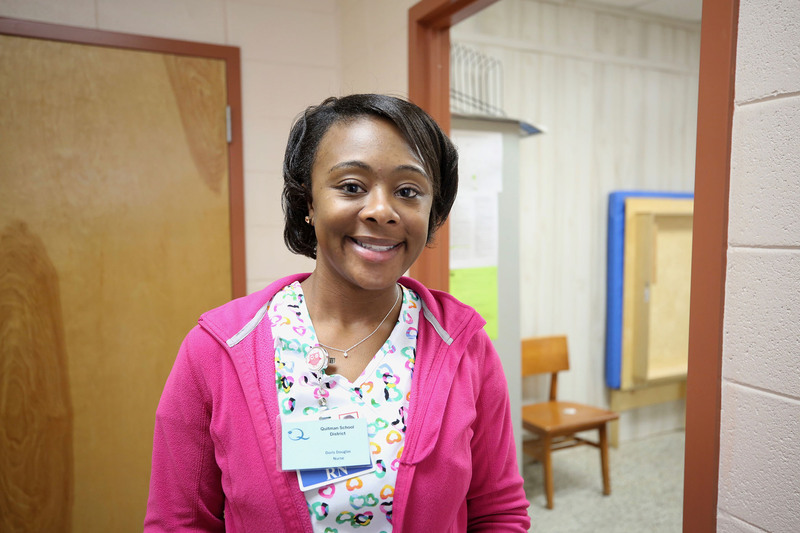 There is a new nurse at Quitman School District, and she has returned to her alma mater in order to ensure that our schools are some of the healthiest places in Mississippi. After receiving her Bachelor’s of Science in nursing from Mississippi University for Women and her Master of Science in nursing from University of Mississippi Medical Center, 2005 QHS graduate Doris Douglas, began working at H.C. Watkins Memorial Hospital as a nursing coordinator, in staff development, and infection control. Most recently she worked with the public as the R.N. at Quitman Medical Group. 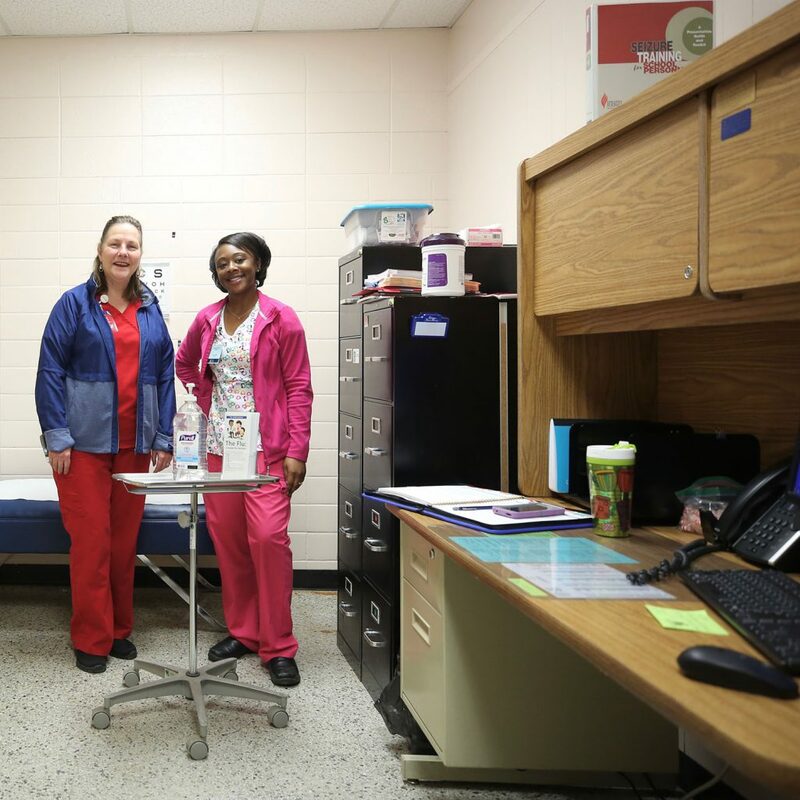 Joining forces with School Nurse Donnis Harris, R.N., M.S.N., Nurse Douglas hopes to educate students, families, faculty, and staff on controlling the spread of infection. This is especially helpful when local newspapers are scripted with headlines warning of surrounding school absences caused by the spread of flu. That training has Douglas already in the schools talking about what is going to keep students healthy. Flu symptoms can include fever, cough, sore throat, runny or stuffy nose, body aches, headache, chills, feeling tired, and sometimes vomiting and diarrhea. The virus spreads mainly by droplets made when someone with flu coughs, sneezes, or talks. These droplets can land in the mouths or noses of people who are nearby. A person also can get the flu by touching something that has flu virus on it and then touching their mouth, eyes, or nose. 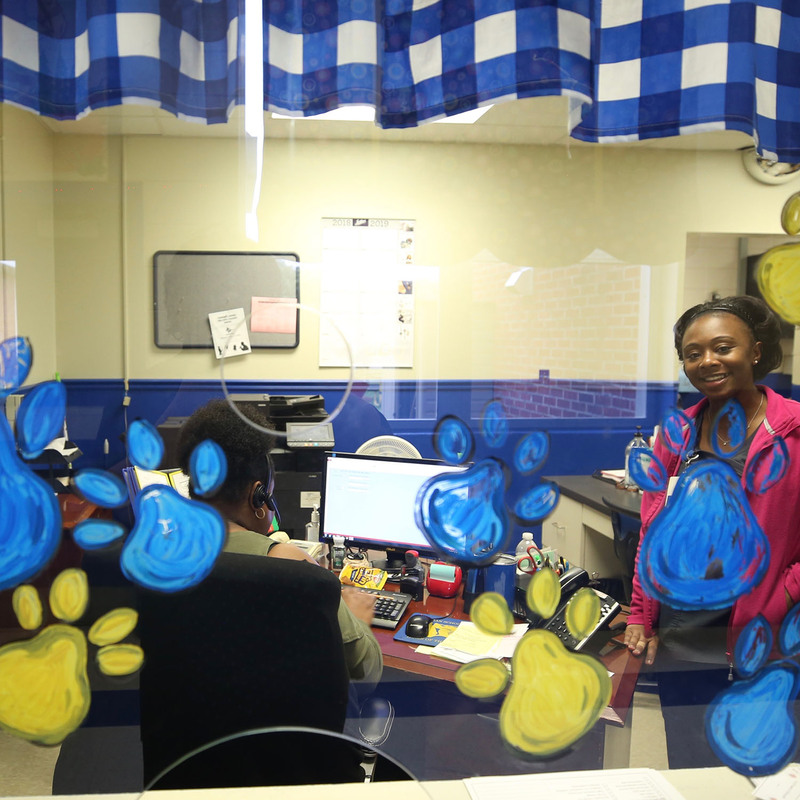 Both Nurse Harris and Nurse Douglas are advising that parents and guardians of Quitman School District students keep children, who are exhibiting flu symptoms, at home.